The days are getting longer, the daffodils are blooming, and the long Easter Bank Holiday weekend is just around the corner. All this extra time can only mean one thing. 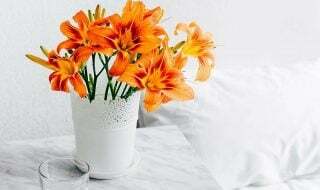 It’s time to spring clean your home! Let’s face it though, finding the motivation to do a big clean can be a task in itself. We think that spring cleaning shouldn’t be something you dread. And it shouldn’t take too long either – if you’ve got the right tools for the job. So, here’s our round up of the best kit to help you get your spring clean done in super-fast time, so you can spend less time scrubbing and more time doing the things you really enjoy this Bank Holiday weekend. Does the thought of cleaning your oven fill you with horror? This is one job where the Vax Steam Fresh Power Plus comes in handy. 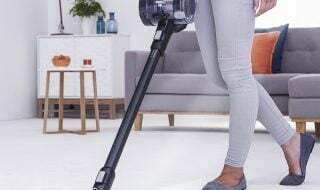 Its 3-in-1 design equips you with a steam mop, long reach wand and a handheld, with a selection of tough cleaning tools to help blast away baked-on grease and grime – fast. 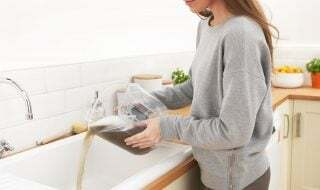 In fact, multi-function steam cleaners are a hassle free way to clean almost anywhere in your home, as they have tools to tackle a huge array of tasks, ranging from taps, showers, cookers, tiles, windows, mirrors, upholstery, clothes, curtains and even car seats! If you struggle to carry your heavy vacuum cleaner up and down stairs and hate plugging and unplugging it every time you move rooms, you need to upgrade to a cordless vacuum cleaner. 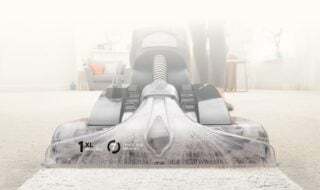 The Vax Blade 2 Max has been proven to clean carpets better than the UK’s top 10 bestselling cordless vacuums* with a lightweight and innovative design. The lithium-ion battery provides a 45-minute runtime†† and no loss of suction∆; providing continuous cleaning performance. Plenty of time to clean without recharging. It’s easy enough to use your vacuum to clean up before friends and family arrive this Easter, but if areas of your carpets are looking dirty or stained they’ll need a bit more help than this. Before you resign yourself to hours spent scrubbing away on your hands and knees, consider investing in a carpet cleaner instead. A Vax carpet cleaner such as the Vax Platinum Power Max is the quickest and easiest way to clean deep down, leaving carpets looking clean and smelling fresh whilst removing up to 93% of bacteria. The quick clean mode on the Platinum Power Max can leave your carpets dry in under an hour**. If it’s warm and summery outside, open the windows and ventilate the room with fresh air. Through the months of March to August, the level of pollen in the air rises, leading to an increase in the experience of hay fever symptoms and other allergies. In some circumstances, this period starts as early as January and can extend as far as November. A Vax air purifier such as the Pure Air 300 or 200 can help improve air quality by removing up to 99% of potentially harmful airborne pollutants, allergens and bacteria from the air stream to reduce the effects of allergies and asthma. The Vax Pure Air 300 is supplied with a pre-installed filter which will last approximately 6 months, plenty of time to get you through allergy season. Buy the VAX Pure Air 300 direct from Vax, and you will also receive an additional filter worth £49.99 for FREE. *Top 20 market data, Jan-Dec 2018 (by sales volume), when tested on carpet according to IEC 62885-2:2016 clause 5.3. Tested in boost mode. †† Tested in standard power mode on hard floor, with floor brush switched off. ** Tested in quick clean mode. Results may vary.